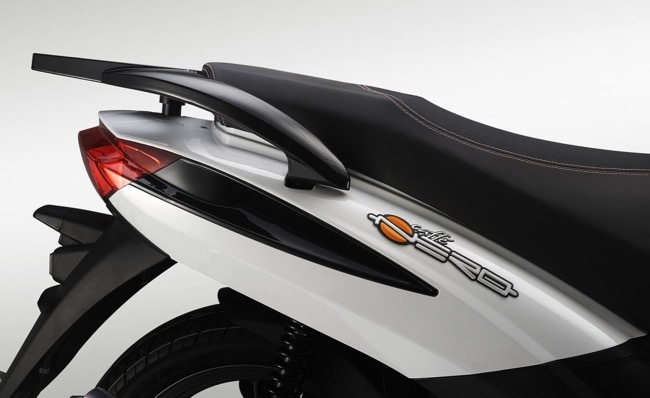 The Caffènero 150 is the latest from the Benelli scooter range and is now available across the Benelli dealer network in Australia only. 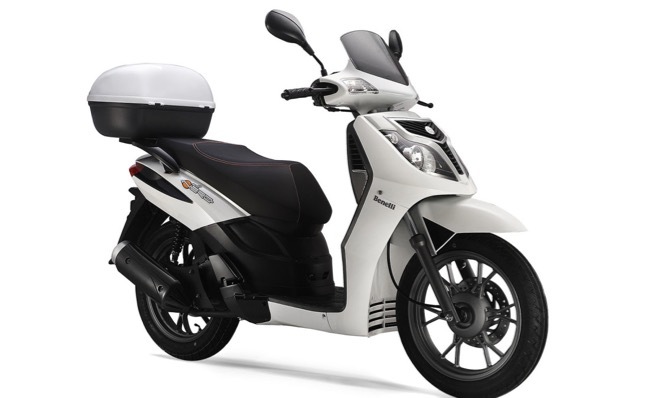 Retail Price inc GST $3390 (Rideaway $3990 – Australia only) and includes a 12 month unlimited km warranty. 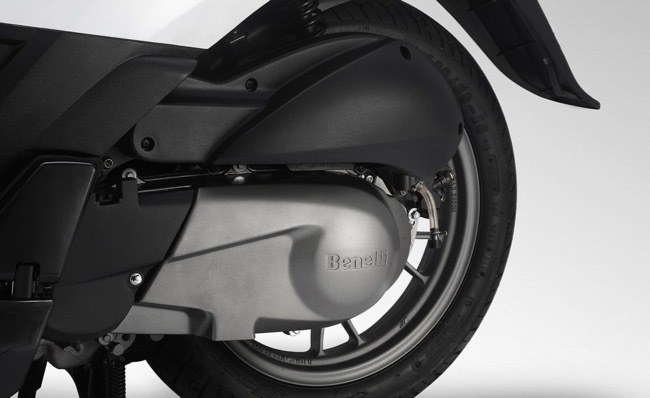 For more information visit: www.benelli.com.au. 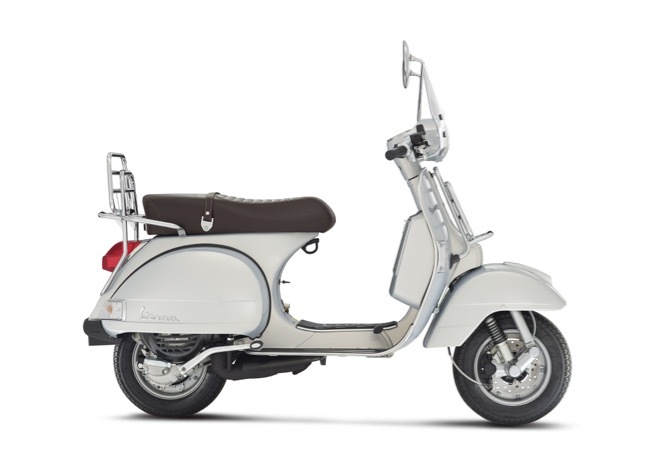 Over 37 years of production and 3 million sales have taken the Vespa PX to every corner of the globe. An endearing popularity and scant regard for the modern interpretation of practical has carried audacious PX owners on journeys many conceived impossible. PX beckons those with a spirit of freedom to defy reasonable and head into the unknown, packing minimal belongings and shedding routine. PX is a true survivor. 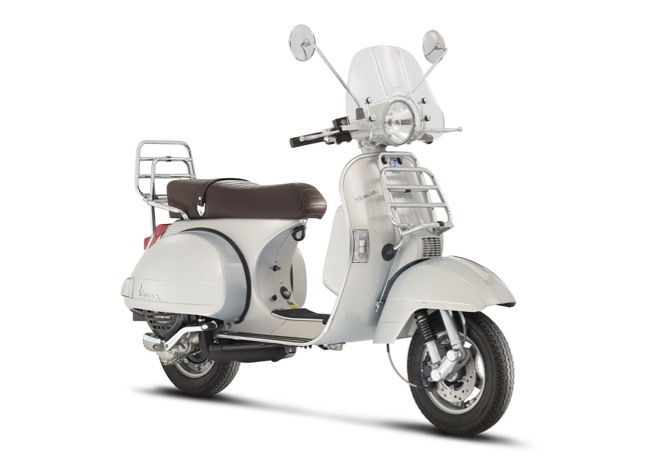 Vespa Australia now announce the release of the limited production PX ‘Touring’, a model encapsulating the spirit of PXs touring history. Resplendent in unique Grigio Seta (Silk Grey) colour and marrone saddle, the PX ‘Touring’ also comes equipped with chrome front and rear carry racks for additional carrying capacity and a wind screen to deflect lifes burdens. Of course the true PX qualities are retained; the 4 speed ‘twist grip’ manual gearshift and the 150cc 2 stoke motor; the footbrake and spare wheel; to respect of the true character of PX. 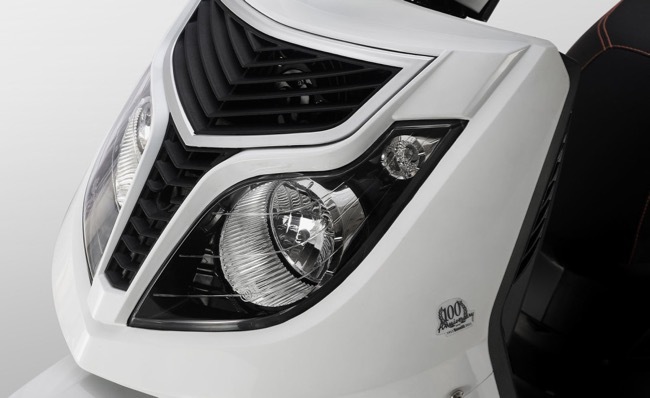 The PX 150 ‘Touring’ continues a timeless legend. PX 150 ‘Touring’ is destined for October release with less than 40 examples of this timeless traveller available. Re-ignite your adventurous spirit and journey into your nearest Vespa dealer for PX ‘Touring’. Peter Dixon - Introduction and overview. 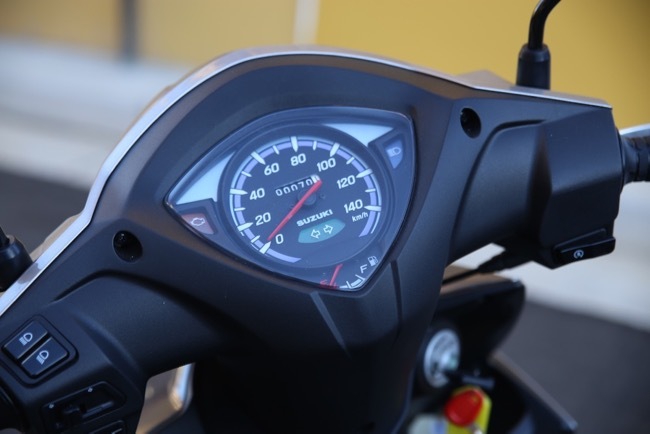 Suzuki's new Address 110cc is being marketed as an “all-rounder”, and it's a great way to sum up this little beauty, whether you're looking for an easy to manage first scooter or a cost effective solution to simplifying your transport needs - The Suzuki Address could be that sleek, stylish and great performing scooter you're currently looking for. Here at the Scootersales office we were all in agreeance that Suzuki had nailed their marketing blurb. On paper my initial preconceptions of the Address were that with just 113 cc's it would be a great little "to the shops and back scooter". How wrong was... The Address had me really excited from the moment I jumped on and realised it was so much more. Firstly, being about 6'1", I found the Address to be spacious with its generous leg room and flat floor. From the first twist of the throttle I was surprised by the responsiveness. The Address quickly got through the 0-60km range and then to my surprise it continued to power on, cruising nicely at 70-80 km/h and winding out close to the 100km/h mark on the flat, even with my ‘larger’ frame. 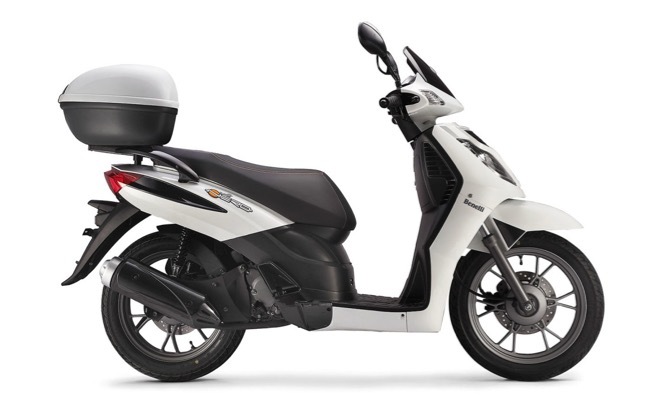 The Address punches well above its weight using it’s super efficient engine and low weight of just 97kg, the Suzuki feels more like a 125 -150cc class scooter. I had it darting around the city with a grin on my face. After riding mostly larger capacity, bigger bodied scooters lately, the Address felt really light. 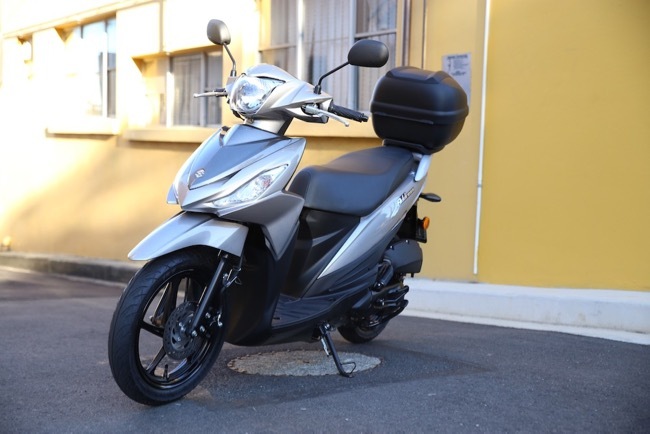 But where other small wheeled, small bodied scooters can occasionally feel a bit flighty and jumpy on Sydney’s bumpy roads, the Address’s larger 14 inch wheels and well balanced geometry added to the great handling. This really allowed me to ride it like a larger scooter and it gave me the confidence to aggressively corner, lane filter or just simply have fun. I love what this little scooter brings back to scootering. It was a pleasure to ride from the Sydney CBD up to Palm Beach and back which is about a 90km round trip. Although not a super long distance, if you'd told me I'd have enjoyed the ride on a 110 cc scooter, I would have said ‘no way’. The Address kept me smiling there and back. After this, the telling factor was that I chose to keep riding it all week, becoming almost reluctant to give it back. I would classify the Address as a ‘budget scooter’, and whilst it's built to a price it still does everything well. It's has an understated sleek appearance that won't break any design awards, but that’s ok, it simply does what it needs to do. Suzuki Australia have also taken an almost Henry Ford approach in that ‘you can choose any colour as long as it's silver’. 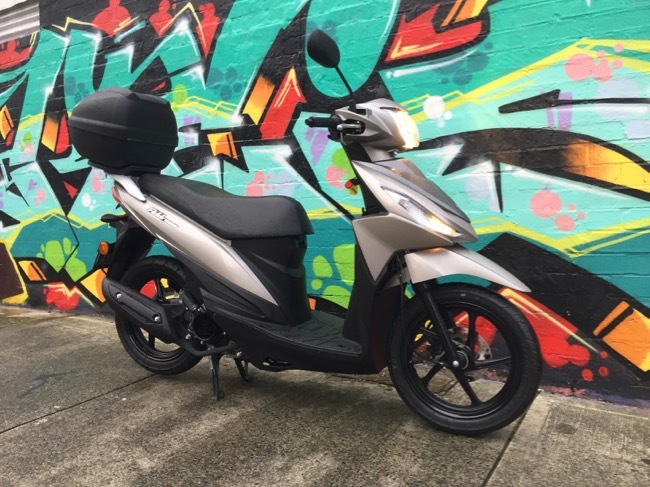 You do need to keep reminding yourself that this is an entry level scooter costing just 3 grand. The Address provides a level of functionality and simplicity that just works. The Address can simply be summed up as a great priced, great performing all-rounder. As far as being user friendly the Address has a large easy to read dash along with a firm narrow seat that's long enough to seat two comfortably. 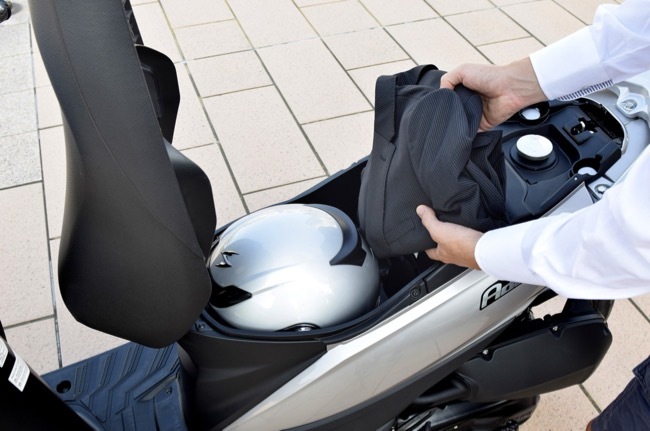 There's well placed fold out pillion pegs, good size mirrors that don’t stick out too far and the front compartments are great for throwing a drink bottle or whatever else is filling your pockets at the time. Use them to store your loose change, it's all you'll need to fill up the 5.2 litre tank. 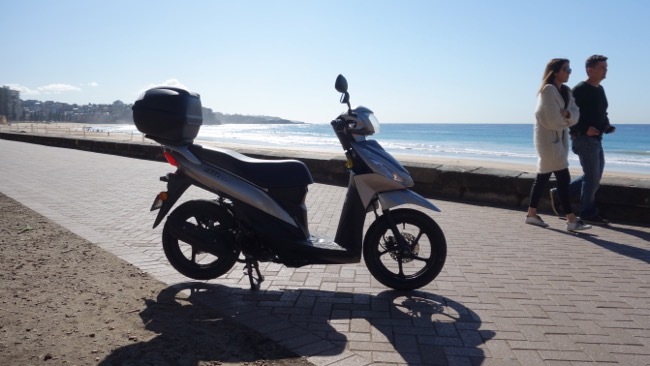 Because I found myself using this scooter a lot more than expected I found myself filling it up quite regularly but if you are only doing smaller runs this won’t be an issue and although I wasn’t quiet getting the listed 2.04L/100k's (I may have been bit heavy on the throttle up and down Sydney’s hills) I was always surprised how little fuel I used at the pump. If I was to get picky It would be nice to see a clock on the dash and you also have to be a little careful not to overfill with the fuel filler being under the seat. For the learner the clicker on the indicators is also very quiet. Again, this is me being super picky and the pros definitely outweigh these small observations. Suzuki are onto a good thing with the Address and it really needs to be ridden to be appreciated. If you don’t plan on doing long distance freeway trips and want to navigate the city and suburbs easily I would happily recommend the Address. Especially if you're currently in the market for a 125-150 capacity scooter. 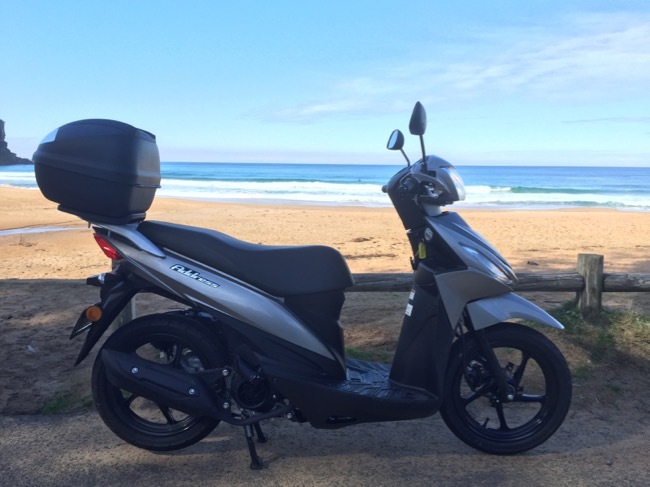 This is a great value option being priced from $2990 ride-away, so on doing the maths, the mighty Suzuki should be enough to get anyone off the bus and enjoying the freedom and functionality of a scooter. 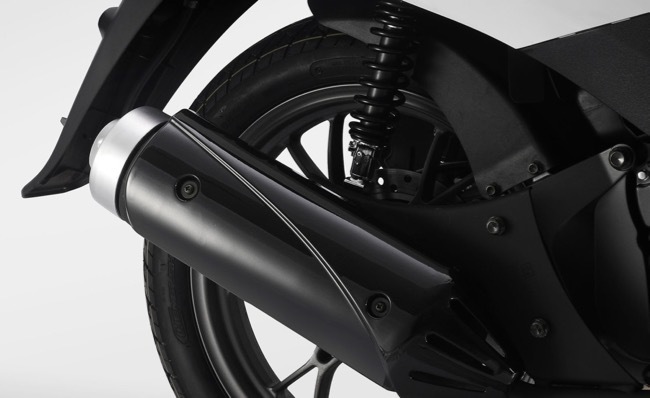 Great job Suzuki on a really nice addition to the scooter range. The Burgman 200 rated well above its capacity and the same can be said for the new Address. Here we have a scooter punching out just 110 cc's, yet the Address performs like it should be in the 125/150 segment. The Address is quick off the line, holds its speed up inclines and cruises along happily with surrounding traffic. If getting to the front is your thing, no need to be afraid, the Address will take care of all but the most determined. Handling is another strength. The Address feels great on the road, something you can throw around corners with confidence. Big wheels are a bonus and this sure does give the Address an edge over bumps and potholes. Then there's all the practical features like the flat floor, good under seat storage and external storage pockets to carry things like your wallet and keys. The top box is optional but inexpensive enough to make it a must have. 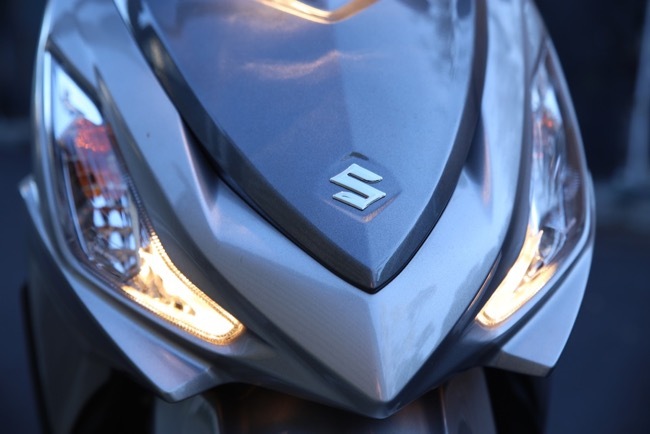 Don't be fooled by the stats when comparing the new Suzuki Address. 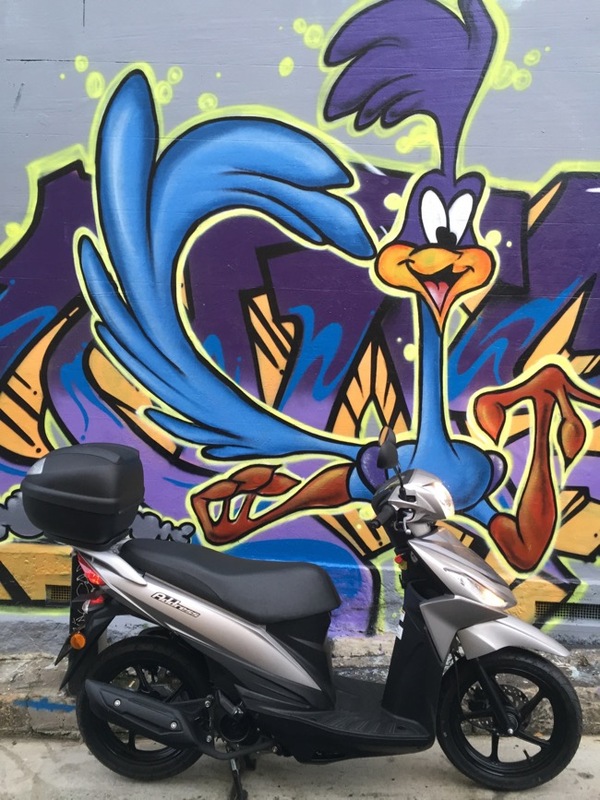 The combination of big wheels, smart ergonomics and punchy engine give this scooter an edge. 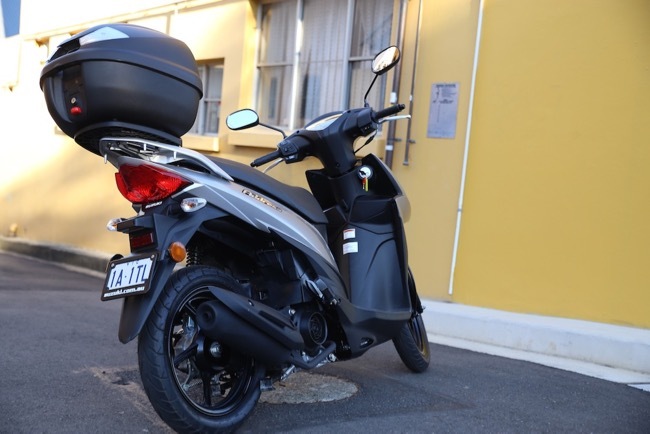 Suzuki have priced the Address competitively at just $2990 ride away. For me, the Address is one of the best new releases we've seen for a long long time. It has all the attributes to make it a fantastic-capable city commuter and has all the quality you'd expect from the Suzuki badge. This ones a gem. Whenever I get to ride one of these small capacity, large wheeled scooters, I get back to thinking about the fundamentals of what a scooter should be. I know we’re hooked on cc’s, speed and power, but in reality scooters can be much more utilitarian than that. If you’ve ever been to Asia you’ll know what I mean. These small scoots have revolutionised third world mobility, every family has one, they’re cheap, economical and bloody useful. The Address was obviously designed for this Asian market, but it turns out it’s also extremely well suited for our Australian urban landscape. 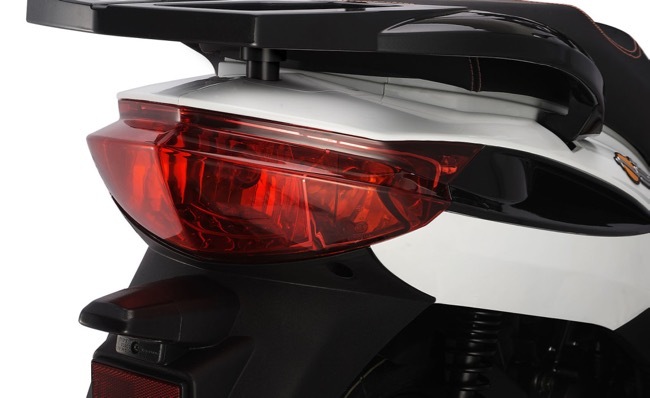 Manufacturers like Suzuki know how to put a quality two-wheeler together, and the Address ticks all the boxes. Small, lightweight, well built, it’s manoeuvrable, economical and heaps of fun. 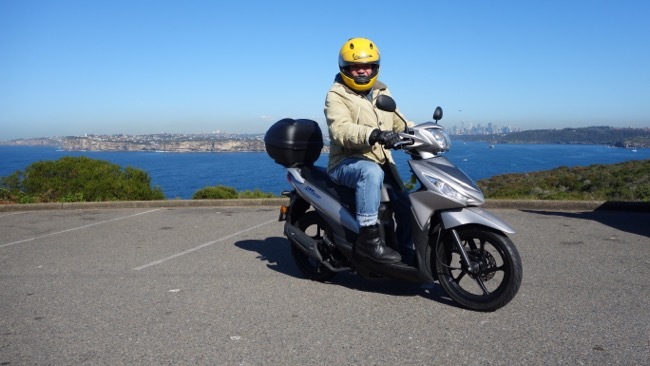 Extremely easy to ride, great handling, reasonable suspension, plenty fast enough to compete on Sydney’s arterial roads, yet thin enough to slip through the thickest of grid lock. The Address is able to be ridden almost anywhere, this little Suzuki makes a heap of sense. It is in many ways the perfect scooter to explore the city, main roads, back roads - I even had it traversing down a local bush track. The Address would make a beauty of a first scoot, it's a very resourceful scooter. Put it down as one of the best I've seen in a while. The Suzuki Address is a corker. 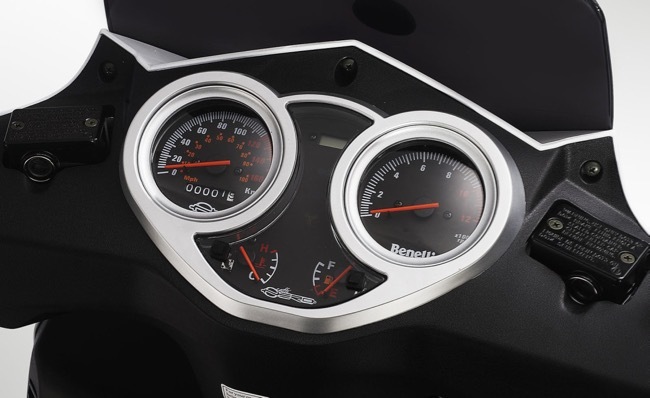 Check it out at your near Suzuki Dealer. 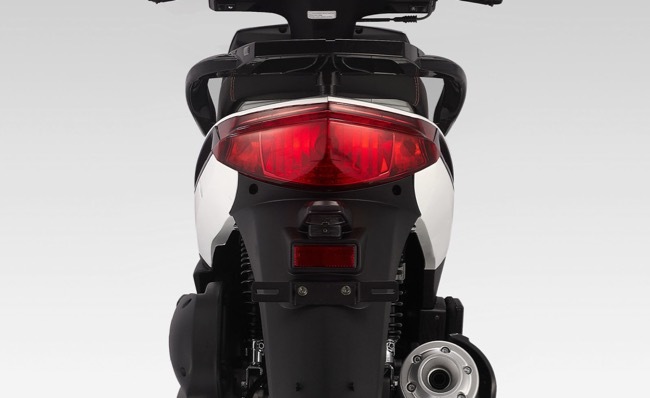 For more information and specifications on the Suzuki Address 110 visit www.suzukimotorcycles.com.au.